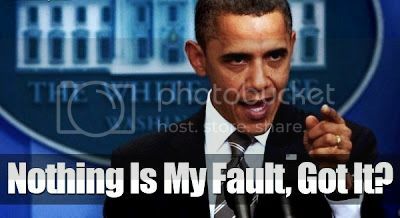 This actually is perhaps the most accurate depiction of the role of modern-day POTUS. 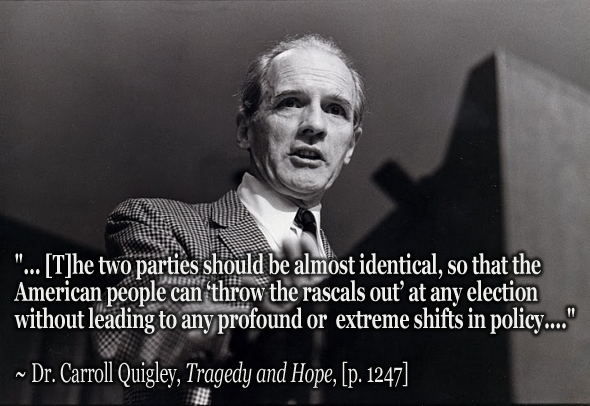 He’s a wholly owned puppet of Zbigniew Brzezinski, the Trilateral Commission, CFR, Wall Street, the military and prison industrial complex, asset-stripping austerity jackals and derivatives ghouls, ruling class bankster cliques, demagogic frauds and sloganeers. Let’s see, have I left anyone out? But that can change. It can change by a top-to-bottom, inside-out reversion and revision. It requires an educated population and cadres of skeptical voters, who eschew the usual tripe and tropes of the nattering bands of elected, selected and appointed rubes. The mainstream media apparatchiks must be exposed altogether as double-agents for the ruling class. Their message is responsible for misdirecting and distracting the limited attention span of a gullible and gutless society of self-indulgent, obese, sports-fixated historical illiterates. Enter the prized millennial. We’re turning out generations of torpid slackers who’ve been reduced to packs of mumbling sloths, thumb-tapping emoticon-laden glyphs, clueless and vapid dolts whose entire response palette consists of either “hilarious” or “awesome.” And this band of self-obsessed nonentities is lovingly referred to as the much sough after millennials.Marketing gurus love to speak of them as a group with one common brain. A group of attention-deprived zombies who require that the panoply of thought be reduced to bite-sized morsels of evanescent idea quanta. But these, I submit are the exception. There are more citizens of all ages who truly care. More than the marketers have en considered. Fads, trends and schmaltz. You see, we love to group: baby boomers, Gen-X’rs and the like. We’re a country in love with a fad. Any fad. Fads, trends, name it. We’ll wait in queues for NSA tracking devices, we’ll tattoo our necks as long as it promises us coolness. Adults will Botox, spackle and inject their faces with fillers and expression killers resulting in distorted and hideous mugs, maws and punums. All for a fad. Hie! It probably is too late. But a sizable contingent lies in the background and in wait. Ready to pounce and act and revolt. They’re the alternative voices and the alternative media whose numbers are colossal and whose ages are varied. They are ready, willing and able to take drastic measures using drastic means: The revolutionary power of rational, critical and educated thought. Two NYPD officers inadvertently become universal and viral (pun intended) laughing stocks. 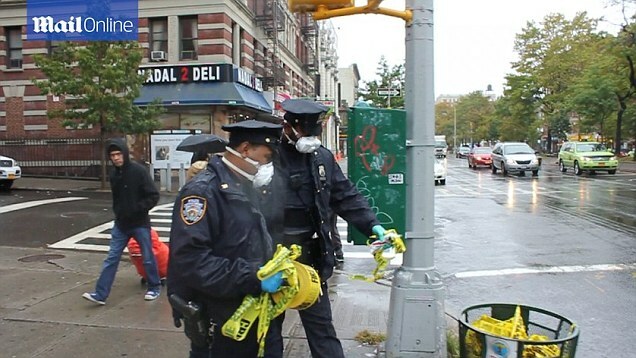 After leaving the Harlem apartment building of Dr. Craig Spencer – the first confirmed Ebola case in the New York City – they were observed (shockingly) dumping their protective gear and crime scene tape in a public garbage receptacle on the street. It might be really no big deal. Let’s hope. But what kind of training did they receive at least as to public relations and perception? Understand how epidemics work. There are two factors required: (1) the contagion itself; and (2) the right infrastructure and medium to allow it to foster and grow and flourish. That latter component usually consists of horrid living conditions, poor sanitation and water systems, inadequate nutrition and the like. We are simply ill-equipped and unequipped to handle a first class pandemic. The esteemed historian, Dr. Webster Tarpley, in his letter to Congressman Chris Van Hollen in 2010 wrote in part the following that I commend to you. Note in particular the reference to the Hill-Burton Act of 1946. We need to build 1,000 modern, state of the art hospitals with 500 beds each just to reach the minimum of targets set by the Hill-Burton Act of 1946. We need to train 250,000 doctors over the next ten years. These goals require serious investments, not subsidies to predatory insurance companies who are going broke because of their reckless derivatives bets. This should be simple, right? After all, we’re the greatest country on the face of the Earth. Right? And it’s that very warped and hallucinogenic exceptionalism that will destroy us. We’re not the best, not the biggest, not the only. We rank only above Great Britain and Ireland in matching Hill-Burton Act standards. The Czech Republic surpasses us, got Chrissakes. We’ve been enslaved to our masters, the globalist financier elite. Asset-stripping jackals who strip and shatter and devolve and devour. When you see dead Ebola victims strewn about African villages, don’t don your usual air of the dismissive affect. This is the incubation ground zero of global pandemics. Tell the WHO and IMF and central bank oligarchs that they’re about to be nationalized of internationalized. Let’s show them a thing or two about asset stripping. After all, we’ve learned from the best. It’s very simple. Thought. Idea. Motive. Inclination. That which propels or drives or inspires. 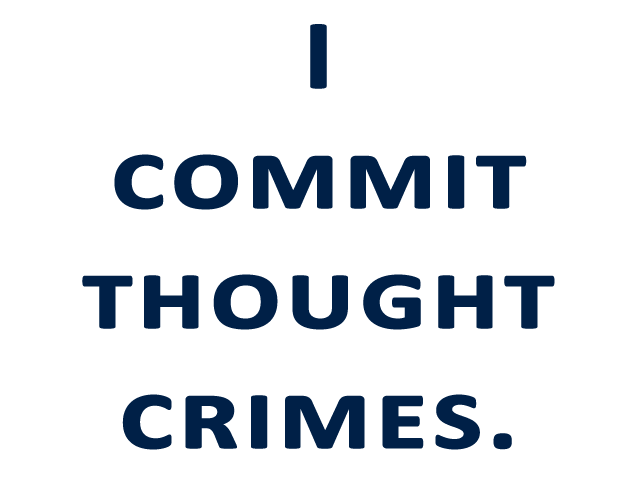 That is the essence of ideation and when you penalize it, directly or indirectly, you’ve created thought crimes. And that is the subject of this disquisition for your edification and review. Limpid. Pellucid. Got it. Notwithstanding the crudeness of the message, it’s perfect in explicating the sense of abandon that I feel. A loss of contact and reality. Not with my reality. But yours. Because if you’re like virtuously everyone I come into contact with, you’re happily ensconced in a parallel universe where everything’s happy and nice. I’m awash in the benighted. Defined as “in a state of pitiful or contemptible intellectual or moral ignorance.” Incapable of understanding just how horrid the human condition can be. CNN may finally have gotten it right. Recently when the presenter infra from CNN spoke anent Ebola, the following lower third appeared which caused quite the stir among the mynah birds in the unimaginative media. I must share a confusion as to what this message actually connoted, but it nonetheless highlighted the naïveté that the doddering dolts suffer from in a world of avowed eugenicists and Malthusian madmen. Now, I’m not saying Ashley knows any of this and ditto for the MSM-bots who chimed in like bleating sheep, but the notion of bioterror used as a vehicle for depopulation is nothing new. His Royal Virus. In my circle we’re most aware of this feller, Prince Phil. Actually a Greek, but after all, with the multi-generational inbreeding what do you expect, Phil is forever famous for this beaut of a quote. And he wasn’t kidding. So, who’s the conspiracy theorist now? Now, I know this is too much for most to grasp. It’s heady and nasty stuff, granted. 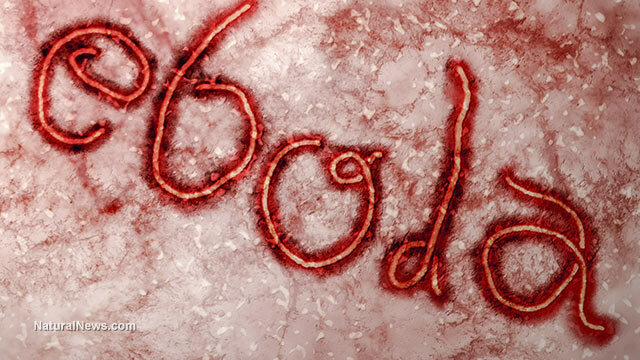 But be on the lookout for a host of issues to arise anent Ebola — bioterror, the weaponization of the virus, the utilization of pathogens for depopulation and the like. And where would we ever get ideas like that? History. Google “depopulation.” I’ll wait.